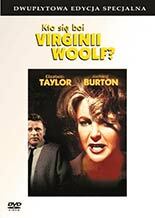 Departures vs. Who's Afraid of Virginia Woolf? "My favorite English and Non-English language films. My vote goes to WAVW?"